The first quarter of 2014 was a roller coast ride for the Secular Education Network, with many schools changing their religious instruction policy in response to complaints from parents. In this review we cover the successes and disappointments from January to march for the Secular Education Network. 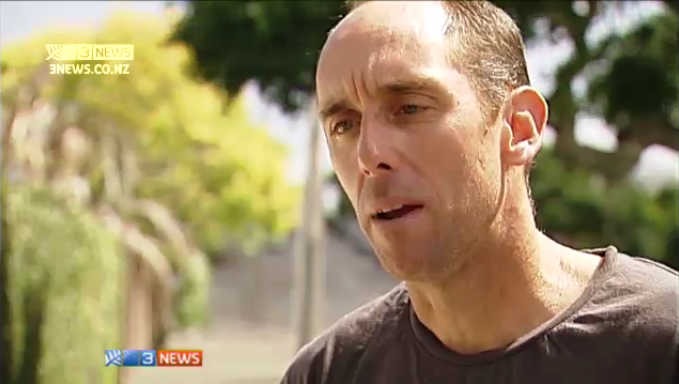 Roy Warren, a parent at St Heliers school, complained to the Human Rights Commission after he was unable to make progress with his complaint around being forced into a unenviable position of either allowing his son to attend religious instruction with his mates or be excluded. This achieved coverage both in the major daily newspapers and on national television, with Roy appearing on TV3 news on January 14. After the media attention Warren became aware of the Secular Education Network (SEN). Members of SEN offered to help support him at the upcoming mediation between Warren and the school. At this point the SEN team became aware of two other parents, Melissa Muirhead and Maheen Mudannayake who were either in the process of filing a complaint to the Human Rights Commission or had actually done so. SEN representatives attended the mediation meeting between the St Heliers school and Warren which lasted a whole afternoon, discussing the issues around religious instruction in schools and attempting to negotiate some form of accommodation. The result of the mediation is however confidential, so the final outcome was not made public. Later, on January 27, Melissa Muirhead, who had not been involved with the Warren complaint, but had filed her own human rights complaint with the Human Rights Commission, appeared on TV1’s Breakfast show to discuss her reasons for questioning the religion in schools program at St Heliers. Buddhist parent Maheen Mudannayake was also considering a complaint after his children were left to draw or do menial tasks while religious instruction was in progress, saying “For them, it’s basically like detention. They hate being away from their peers and they find it hard to understand why they’re away given they’re only Year 1 and Year 2, so these are five- and six-year-olds we’re talking about.” He opted his children out of religious instruction when he discovered that Bible in Schools instructors performed mock communion using fruit juice and rice cakes in place of wine and bread. All the parents complaining about religious instruction were happy with this decision, and withdrew their complaints to the Human Rights Commission. However, religious parents at the school were far from happy. A few weeks later National MP for Tamaki, Simon O’Connor was quoted to say “My primary concern is, what does this ultimately mean? If you take the negative line, which is to remove programmes from schools on religious grounds, what’s the next step, what does that mean for the use of say, karakia or grace in schools, and other spiritual expressions.” This was the genesis of the talking point that religious rights were being violated when religious instruction classes at secular schools were stopped. Milson School had not previously run religious instruction classes. They conducted a survey of parents last year, and without any further consultation with parents introduced religious instruction into what is normal school time. Lewer expressed her desire to raise the issue with the Human Rights Commission if the program was introduced, and subsequently the school relented and moved the religious instruction classes out of school hours. As a result of the decisions at St Heliers and Milton schools and the associated media coverage the tone began to become more hostile. Religious parents from St Heliers said they would seek to reinstate religious instruction. There were a few common themes to these articles. The first theme was attempt to confuse ‘religious instruction’ which is evangelical promotion of a single religion and ‘religious education’ which presents multiple religions and attempts objective comparison between them. Hosking was not satisfied however, asking the same question in another way; “Isn’t that the problem of the parent and why is the parent hijacking the school and therefore the kids life by behaving that way? Why doesn’t the parent get out of the schools life and let them educate the kid and get on with it?” Hines replied once again that “Nelson school in Palmerston North did not have to go along with Berlinda Lewer who objected.” Hosking could still not resist claiming “its a hijacking” one last time before the interview closed. The original statement by the School Board of St Heliers School was that they would move religious instruction to after school. The Christian Education Commission refused to conduct classes at this time, even though it was a mere half hour later than the existing program. Christian parents were also lobbying the school to reintroduce religious instruction to the school. As a result of these influences the School Board released another statement on March 16 that reversed its decision to move religious instruction out of school time. Instead the school decided to agree to a compromise with the Christian Education Commission’s Simon Greening who wanted to run a lunchtime program rather than a after school program. This agreement was reached without any further discussion or communication with any of the original complainants. The original complaints to the Human Rights Commission had been dropped after the school made the first announcement without coming to a formal agreement. This meant they were able to change their mind later without consulting the parents involved. The whole saga at St Heliers was stressful for those involved. It is unfortunate that parents should be put in this position when their children are attending a state school. The Secular Education Network continues to provide support, encouragement and advice to parents who are facing these kinds of issue. They are also starting to engage with politicians at the national level. Secular Education Network parents and supporters have committed to continue the effort, and to bring real freedom of belief to New Zealand schools. It is clear that the efforts are paying off with more and more parents willing to stand up and speak out against religious privilege in New Zealand.